How do you bake a Cake of Destruction, featuring a healthy dose of power and a sprinkling of ethics — themes from Ray Bradbury’s Fahrenheit 451? 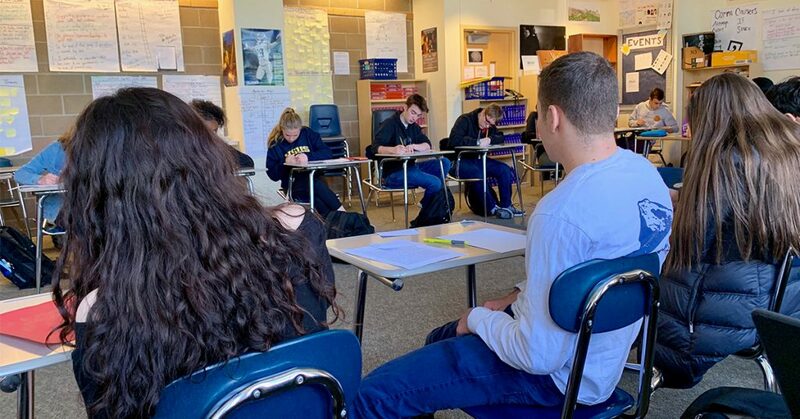 Ask Sean Riley’s 11th grade English students at West Seattle High School. As part of a project focused on 20th century novels, students chose a creative format to communicate themes from the books they read. 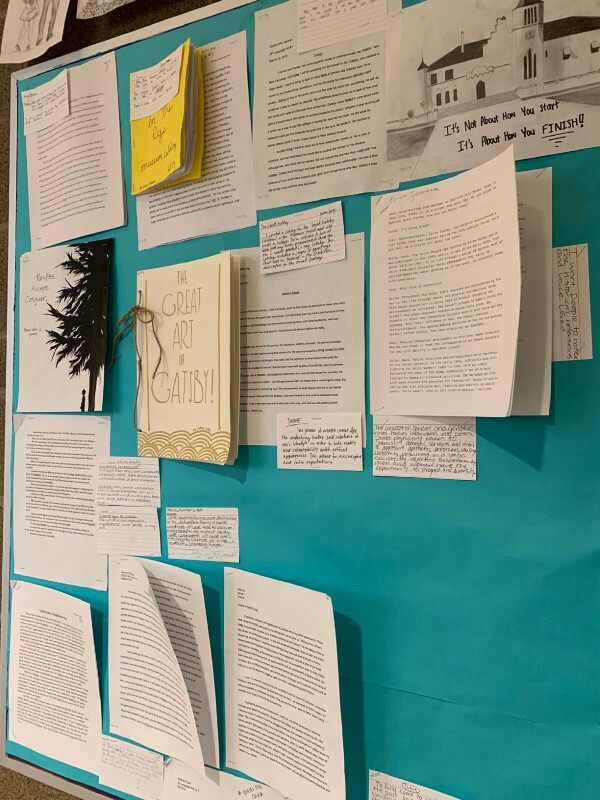 Along with the Cake of Destruction recipe, students wrote radio transcripts about Slaughterhouse Five, a eulogy for Jay Gatsby, satirical columns, advertisements, and more. On a recent Friday morning, students participated in a “gallery carousel” to review each other’s projects and provide “warm feedback.” Students’ written comments complimented one another’s tone, creativity, and clarity. 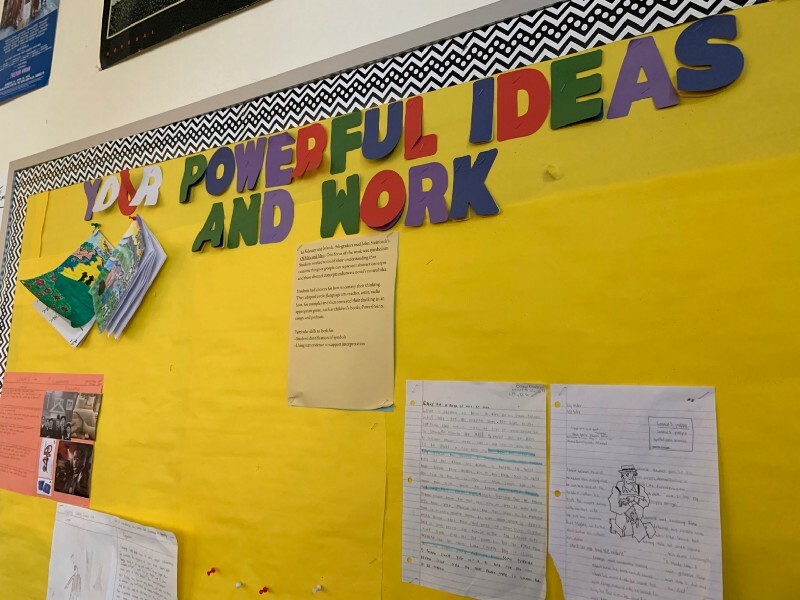 In his classes, Riley strives to create opportunities for students to learn to express themselves and grow as individuals and a community, as well as develop skills and foster a love of reading and writing. 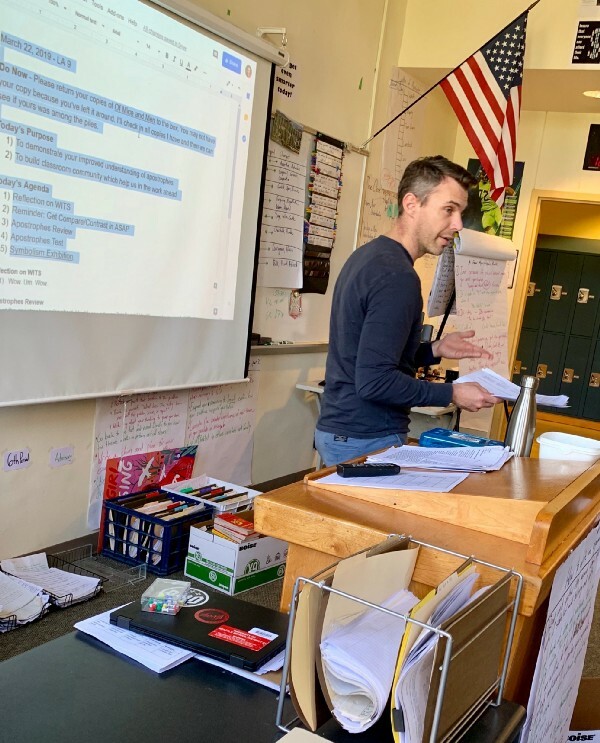 He seeks to offer his students many ways to connect with class readings and assignments. “It’s a constant quest to find sustainable ways to reach all students,” Riley said, adding that he also tries to expand what students think of as relevant to them. One of his favorite books to teach is A Raisin in the Sun, by Lorraine Hansberry, because of its complex exploration of race that remains highly relevant today. Riley’s 9th graders started their class with a review of apostrophe rules before taking a quiz. They went over the rules — it’s versus its, plural possessives, and the singular possessive of words ending in s, to name a few — and discussed examples. Riley’s enthusiasm for his students’ growth in thinking was clear. When one student offered up the singular possessive of octopus, Riley responded with an excited “Yes, yes, yes!” as he wrote the example on the board. After the quiz, students participated in a gallery walk of their classmates’ projects analyzing symbolism in John Steinbeck’s Of Mice and Men. Projects included paintings and drawings with explanations, radio transcripts, short papers, and more. “It’s fun to watch students experiment and try new things,” Riley said. In a recent class, students created blackout poems — starting with a page of printed copy, students blacked out works, making poetry out of the remaining words. One student was eager to show the poem to Riley. “That’s a really cool feeling,” he said. Many thanks to Mr. Riley and his students for welcoming us into the classroom for a day!